You were there. Or you watched the live streaming. Perhaps you couldn’t make it to Wichita, but you listened in on the social media conversation. You were inspired by the bright new day of the Church of God, culminating in a convention experience that some have reported rivals that of the largest gatherings in Christendom today. You’ve heard the reports of God at work in the movement. You’ve sensed the Spirit bringing the movement together for such a time as this. You’ve caught the vision, and you want to take it back to your circle of ministry. Could it be that now God is calling you to respond? Would you give a donation today to propel the movement forward? Take a step beyond vocal and prayerful support. Click here to donate now. We learned at Church of God Convention 2017 that 75,000 believers in Pakistan have decided to join the movement. We rejoice to hear of the churches across the country—not previously affiliated with the movement—who have decided to affiliate. New pastoral staff joining our congregations from outside the movement have enthusiastically embraced the Jesus-centered vision of the Church of God. We’re learning that congregations across the country, which have identified with the Church of God for decades, are now choosing to join the movement and financially support Church of God Ministries for the first time. It’s no coincidence that the movement is picking up so much steam. God is on the move in the Church of God, and we can’t wait to see the continued impact. Church of God Convention 2017 may be history, but its impact has only just begun to be felt. As observed in Wichita, the Church of God of the 21st century is committed to being countercultural, transformational, and lean. You can count on Church of God Ministries to be at the forefront of the fight to reclaim what hell has stolen. 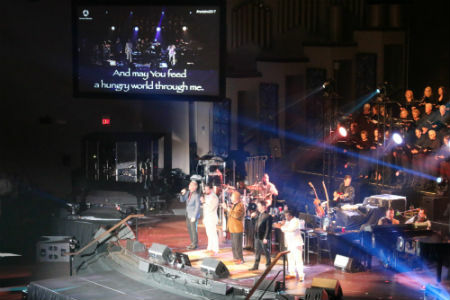 And, as stories of bold reclamation and transformation come in, we’ll share them right here at www.chognews.org. Stay tuned, and thank you for your generous support! This entry was posted in All Church of God, Church of God Convention and tagged camp meeting, Campmeeting, CHOG Convention 2017, Church of God Convention 2017, Kansas, KS, NAC, North American Convention, Wichita. Bookmark the permalink.